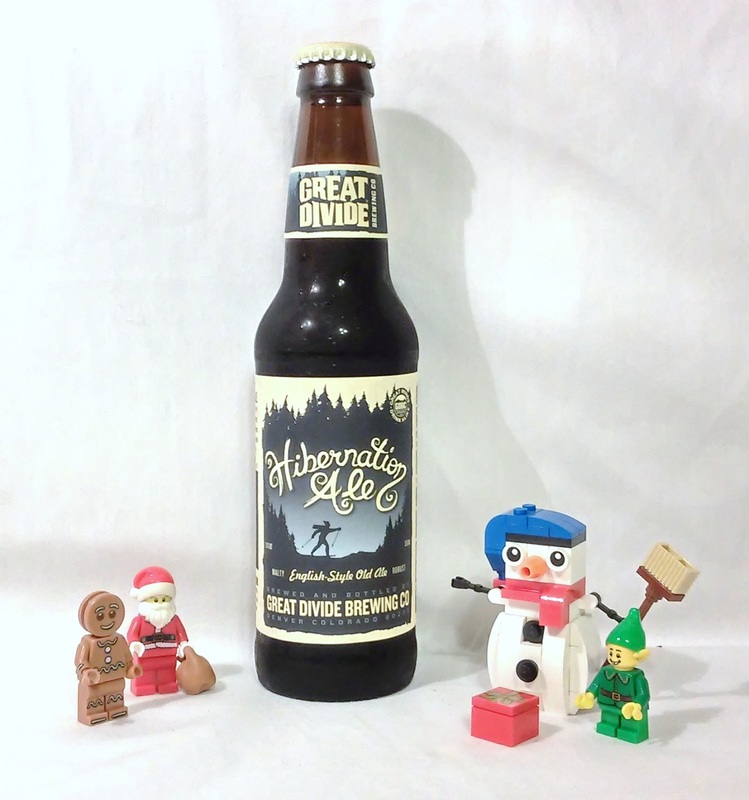 Jared Unzipped: Yule Grog 2015 Part 1: Great Divide Hibernation Ale. 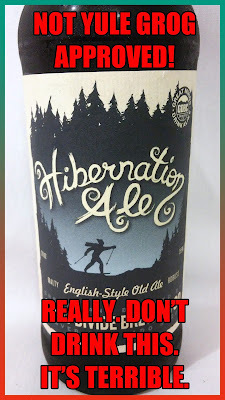 Yule Grog 2015 Part 1: Great Divide Hibernation Ale. JARED UNZIPPED'S 2015 YULE GROG! With each review, I'll be taking notes live as I drink the beer for the first time. The notes I write will be divided into two sections -- drinking it cold and at room temperature. My comments will be genuine. I'll highlight what I like and dislike about the beer. Honesty is important here! Let's get started. My inaugural brew of the 2015 Yule Grog will be the Hibernation Ale by Great Divide Brewing of Denver, Colorado. Brewed seasonally since 1995, the Hibernation Ale is an English-style old ale. It is 8.7% Alc. by volume and available annually during the months of October, November and December. Here we go! Hardly any head or foam to speak of. Has a nutty, dark brown ale fragrance. As soon as I took the first gulp, an explosion of bitterness splashed all over the full length of my tongue. Not much actual flavor or taste to speak of. Has somewhat of a hoppy nature. For a darker ale, it doesn't have the thick body I'd hoped for. Presents as a watered-down and runny stout. Became even more terribly bitter. The nutty fragrance became much more bold. The taste is wholly unpleasant and extremely astringent. I'm amazed at how pungent the beer has become, making it a chore to drink. I can't even finish this beer because it tastes so horrible. Poured it down my kitchen sink in disgust. Wow, what can I say? I wasn't expecting a complete dud for my first winter seasonal beer. What started out as a flavorless, bitter ale morphed into something completely undrinkable. 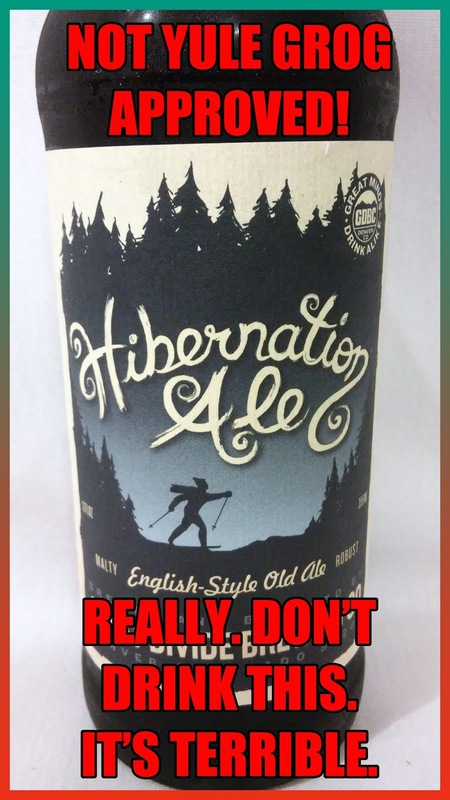 I can't recommend Hibernation Ale in any capacity, whether cold or at room temperature. It's not enjoyable in the slightest. How in the world this has been brewed since 1995, I have no idea. Let's hope the next three beers of the Yule Grog will be much more flavorful. We can only go up from here!